All you have to do is hear Ilene speak and it is apparent that she was born and raised in the Boston area. Her long real estate career started with a property developer, converting apartments into condominiums and taking over the management and sales of high-rise, high-end communities. In 1978, tired of the cold and snow, Ilene found her "Garden of Eden" in Sarasota, Florida, where she now helps others find t... more.heir own piece of paradise. After continuing to work with several real estate developers in the Sarasota area, Ilene found her calling as a REALTOR®. From homes on the golf course to investment properties by the beach, Ilene specializes in the diverse lifestyle options for buyers and sellers in Sarasota, Bradenton and Venice. She has never lost her old fashioned work ethic, and believes in honesty, integrity, hard work, and above all, exceptional service. She is always striving for what she calls “The Look” - that look on a customers face when they find their perfect home or sell their property to take the next step in their lives. Ilene graduated Vesper George School of Art in Boston, MA. When she first moved to Sarasota in the 1970s she worked for Mote Marine Laboratory as an executive assistant, and also gained experience working for two prominent architects, George Palermo and Carl Abbott. Married to Richard, a General Contractor and owner of a custom building and remodeling company, Ilene lives and breathes real estate. 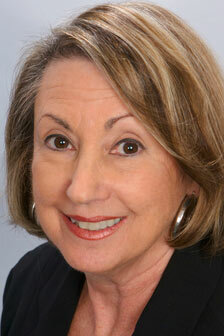 “For the best service you've ever seen...buy or sell your home with ILENE!” ...less.